If you’re anything like me, your chosen DAW or sample purchases will include numerous drum kits, some of which are engineered to copy the classics. But where UVI hopes to tempt you is with a vast collection of drum sounds that will work right out of the box, and also entice you to edit and program your beats, sonically and sequentially. In line with other packages from UVI, Drum Designer has been developed to be loaded into its own branded player and synth package. UVI Workstation 3 is free and will do a perfect job of allowing you access to everything within the package; while Falcon is its more advanced synth-engine-based software, which allows for greater flexibility in use. Once downloaded, I find it best not to argue with the UVI installer, allowing it to place the samples where it feels most comfortable. I’ve experienced issues with moving libraries around the OS before, so it’s sometimes the case of going with your hunch if you want them to appear in the best and most direct location possible. Sonically, UVI’s packages are amazing, which is something that hits you right from the off with Drum Designer. 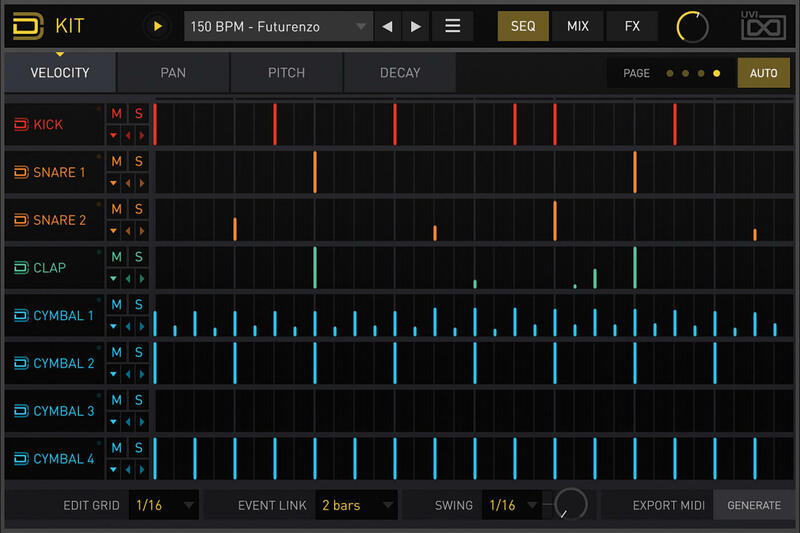 Beginning with the default kit, the first impression is one of immediacy; the Sequencer page presents itself first and, while in standalone mode, is dead easy to draw in steps and hit the play button. Then there’s the immediacy of the sound. I’ve used a lot of libraries in the past, and I always struggle to find sounds that will sit in the mix as I’d like, but it becomes clear very quickly that these sounds will not only work, but will also allow for the all-important tweaking you’ll need to do if you want the drums on your track to stand out. Diving into the sound menus requires the movement to the main edit page for each drum sound, where you’ll find various useful parameters to change your chosen drum’s settings. Graphically, these pages are functional, if a little stark, but they carry through the colour scheme associated with each timbre onto the sequencer, so there’s useful reinforcement here. Within the edit screen, the sound menu is located at the top of the page, and in the case of the kick drums, there are a bewildering 316 types available – remember, these are merely a starting point for further drum design. 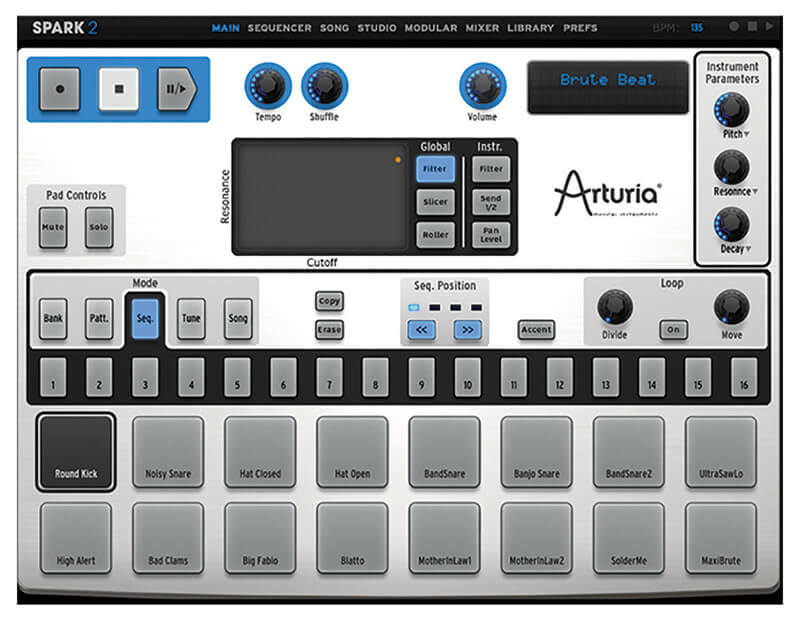 Categorising drums is always a thorny issue, as so many of the names relating to these instruments are connected with trademarked drum machines, so UVI has steered away from this by using adjectives, with the occasional triple-digit mention of the 808, which would be very difficult to avoid otherwise. Listening through all of the sounds, they do seem to flock together, as one sound can clearly offer association to the next. Sonic differences here are stepped and can be reasonably substantial, presumably because it is so easy to make an edit, although it’s worth pointing out that the selection of a timbre at this level will remove any changes that you might have made, even to elements such as the envelope or filter. As we’ve moved into the world of editing, it’s worth mentioning what’s on offer. The kick is one of the more simplistic sounds, with the immediate offer of two timbral elements in body and tone. These can be treated individually, and in themselves are their own partials. There’s plenty of opportunity for envelope change, which can be done through use of pots or by simply clicking on the envelope graphic. Using the latter allows for all sorts of complex shaping, making it easy to create those sinusoidal sub tones which you might associate with urban grooves. 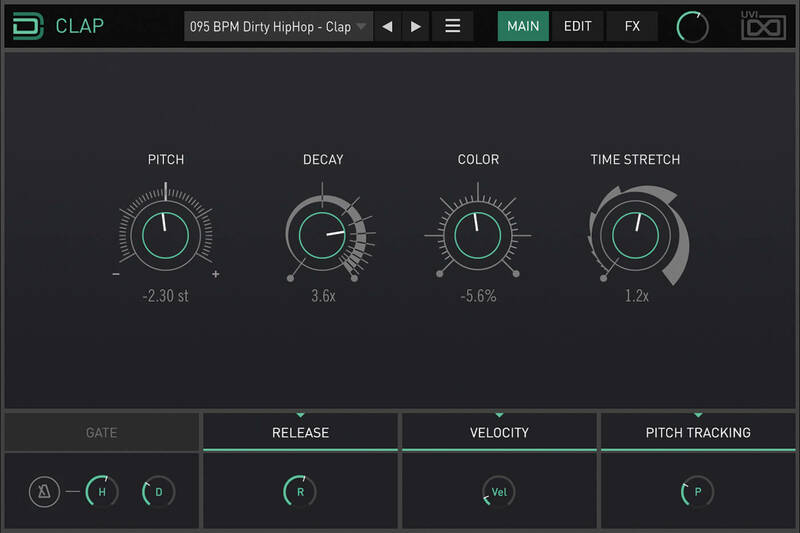 It’s likely that you might want to enlist the use of the filter to tame this, particularly as decay times can be set to the extreme of 10 seconds, which is long enough for any 808 kick tail. This story is replicated elsewhere with the snares, hi-hats and cymbals, although the default kit does reinforce the fact that it’s clearly centred around these kit elements, while offering kick, two snares, clap and four cymbals, which also includes the hi-hat. Exploring the menus will yield access to various sound effects, but the essence is firmly placed on the basic kit. My immediate thought was that this might feel limiting. Well, that was a mistake: the reason being the sheer wealth of timbres available and the programmability of each one. The chances are, if you want an electronic-tom type sound, there will probably be something not a million miles away that a change in pitch can’t help but turn into a tom. While some might want to use Drum Designer purely as a sound source, I found myself drawn into the palette-like potential offered by the sequencer side of the software. You draw in steps you wish to play on the appropriate line that corresponds with the instrument, with velocity control as required. This makes it easy for creating degrees of expression, in peaks and troughs, but where it comes into its own is in the ability to draw in pan, pitch and decay. It’s probably best to think of this as step control of these elements, and opens up an enormous Pandora’s box of delights for creating interesting textures. Once you’ve discovered this feature, it’s hard to stop drawing things in, forcing you to stop before things go too far. On the most basic level, just changing the decay of elements such as the kick and hi-hat is something we love to do with a machine like a 909, and the ability to draw this in as automation is a real boon. 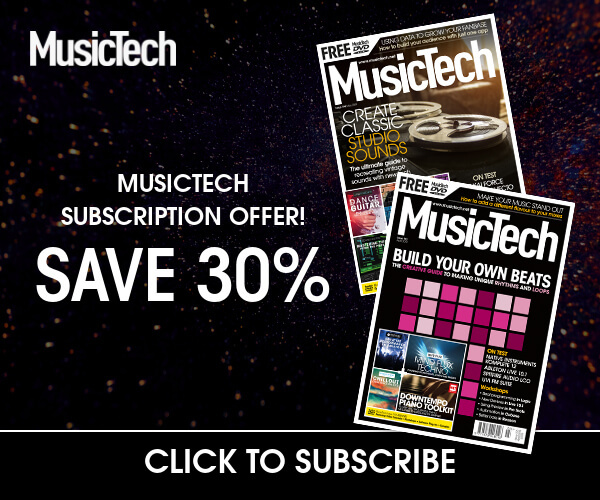 This feature is keenly demonstrated in the pattern- and kit-based presets, with one patch sporting significant melodic EDM credentials which will be immediately identifiable to most – seriously impressive and useful. 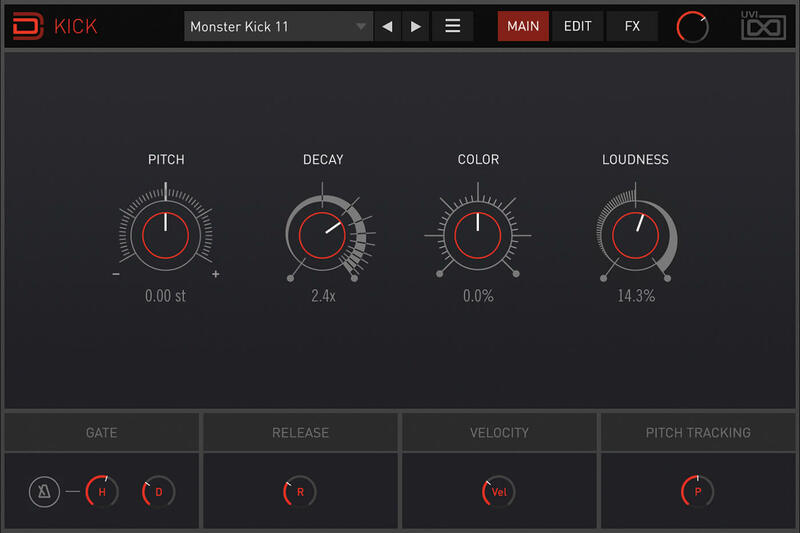 As if all of this weren’t enough, there’s also the FX section, which offers four elements which all lend themselves nicely to drum usage, through compression, EQ, delay and reverb. The main thing that hits you with this package is how beautiful it is sonically. The presence that you hear in each chosen timbre, even before you start editing, is outstanding. It’s testimony to the quality of what UVI continues to produce; it’s very easy to see why UVI is so popular, because its products seem to continually deliver. My only criticism, which may just be a personal preference, is that I find the graphics a little lacklustre. Although they’re very clear to use and functional with it, I still had the occasional confused moment when it came to navigation and menu hierarchy. 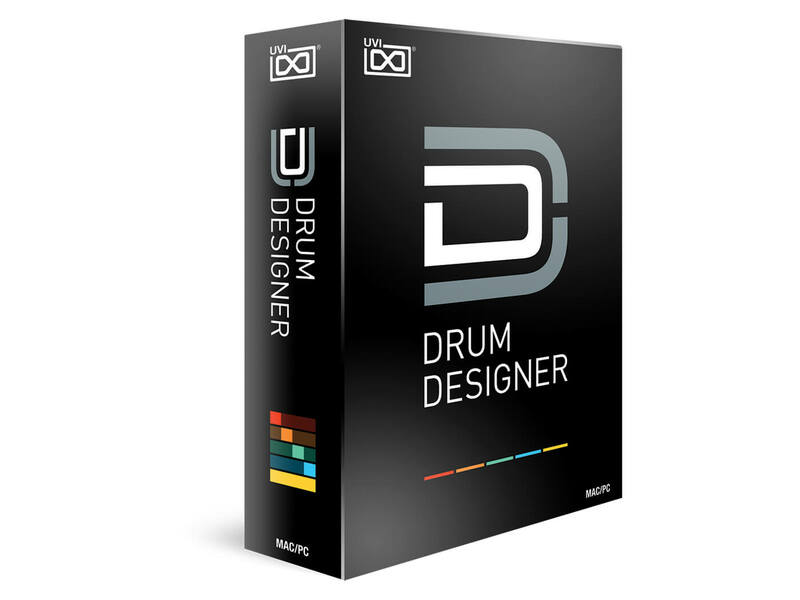 This should not put anyone off, as Drum Designer is sonically outstanding and very versatile and could become the new go-to for anyone needing great drum sounds. From the moment you open the interface, it’s clear that Drum Designer is more about drum-machine styling than an acoustic drum kit. This is firmly reflected in the sounds, which are largely nodding in the direction of the great and classic drum machines of the past, but with the ability to get very dirty with programming and editing, to make something more unique. The more acoustic sounds are largely associated with some of the earlier and bit-reduced digital machines and to my mind, sound all the better for it. 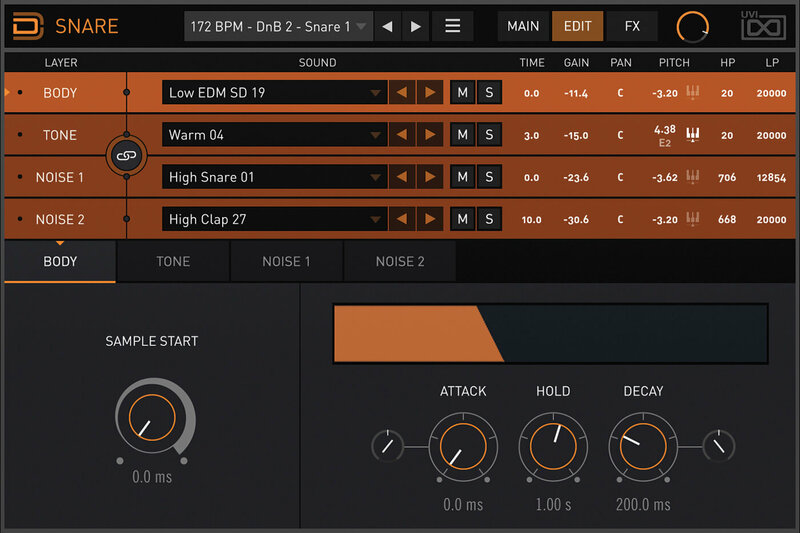 As a standalone set of sounds, Drum Designer is great, but don’t underestimate the onboard sequencer, which is easy to use and a creative powerhouse, making it a great choice overall. Designed to look and feel like a conventional drum machine in software, Spark 2 also allows for expansion through a series of packs. It also offers considerable levels of programmability, with many of its sounds largely drawn from those classic drum machines of yesteryear. 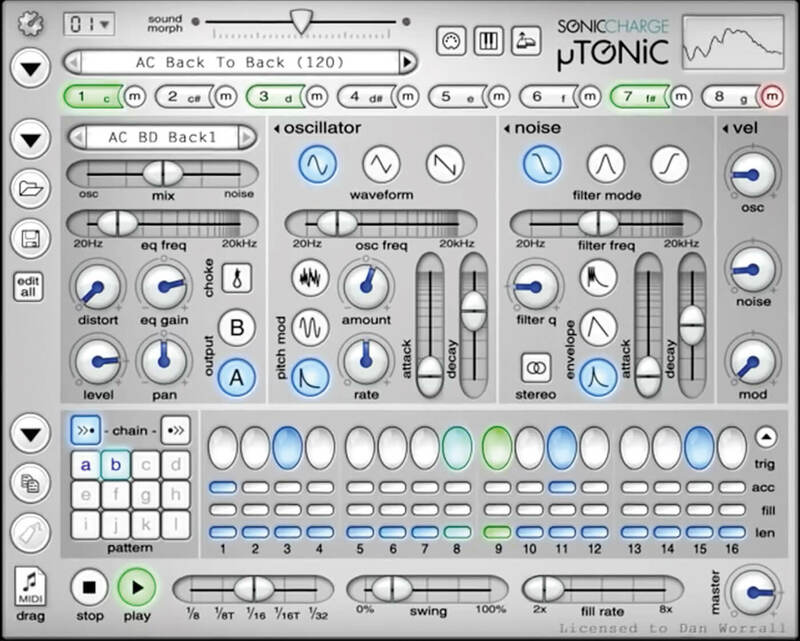 Almost an analogue drum machine for computers, Microtonic is an eight-channel plug-in where the sounds are rendered in real time. It’s got a very distinctive sound which is innately electronic and quirky. The onboard sequencer allows the use of patterns, or can be used just as a sound source. This is simply an outstanding library of really great drum-machine-styled sounds, which will cover pretty much every genre of music based around electronic drums.